Who Would Have Known A Mustang GT350R Loses To The Camaro ZL1 So Badly? Only a Mustang GT350R could win a competition where it’s the slowest car. Right from the get go, this review was flawed. As we all know, the Shelby GT350R is a track focused version of the GT350 while the ZL1 Camaro is “just” a ZL1 Camaro. If the Motor Trend boys wanted to give the two cars a more fair comparison, they would have nabbed the standard GT350 or waited around a bit until Chevy made the ZL1 1LE available for the sake of a fair review. But life doesn’t always work the way you want it to, even for auto journalists. To make the best of the tough situation at hand, Jonny Lieberman and Jason Cammisa strap themselves into the muscle cars anyway and quickly discover there’s an imposter in the group. 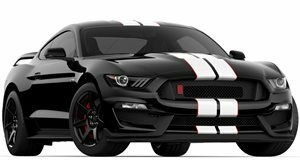 That silly Mustang is not really a muscle car but a Porsche 911-like sports car wearing Mustang garb. 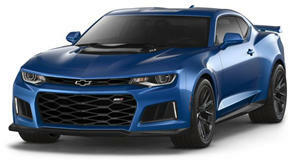 With the Mustang feeling like a true sports car, the Camaro should be the clear loser. Especially when it’s vehicular dynamics better match those of a sloppy American muscle car. Too bad for the Mustang, the Camaro actually is a true sloppy American muscle car and therefore sneaks quite a bit more horsepower into the fight to make things interesting. And then there's the fact that GM’s genius Alpha platform underpins the ZL1, making it competent enough in the corners to beat the GT350 around Willow Springs raceway, barely. And for winning the race, the Camaro lost the comparison. That's right, the less precision-oriented car that actually won the race got reprimanded for not being as fun as the competition, but that’s probably because Ford put its money where its mouth is, literally, when it came to the GT350R’s guttural roar.